So much cabaret has started happening in London, notably in what I term ‘Songbook’ cabaret, I decided to write a series of features on some of the new venues that have opened to house this genre. There are several that have sprung up in the last year, joining The Pheasantry in Chelsea which was pretty much the only suitable space for a supper club similar to the style found in New York. The first in this series will talk about the studio theatre at the newly-built St James Theatre, Victoria. The old Westminster Theatre, which had once been a stalwart of the West End, later became owned by the Moral Re- Armament Group, a movement started just after World War II to foster peace in Europe and help build a new moral framework for the world to operate in. That movement was a great proponent for the power of theatre to do good in society, and was never afraid to be openly propagandist about its viewpoint. Eventually Moral Re-Armament sold the venue, which incidentally had the nicest dressing rooms in the West End ( I know because I appeared there). It was in 2002, after some years’ wrangling to prevent its demolition, that the building mysteriously burned down leaving merely the shell behind. The new St James Theatre complex, opened last year, is bright, modern and elegant. It has two performing spaces – the main house seating 314, and downstairs a small studio space with a gallery, tables and chairs and a bar in the same auditorium. It is, thus, ideal for cabaret and jazz. The stage has a grand piano and there is easily enough space for 2 other instrumentalists and a singer. The stage is placed at the back wall and also at the stage–right wall, which means the artists must come through the audience to mount it. This will inevitably restrict the type of theatre shows that could go on there, but more of the general programming later. 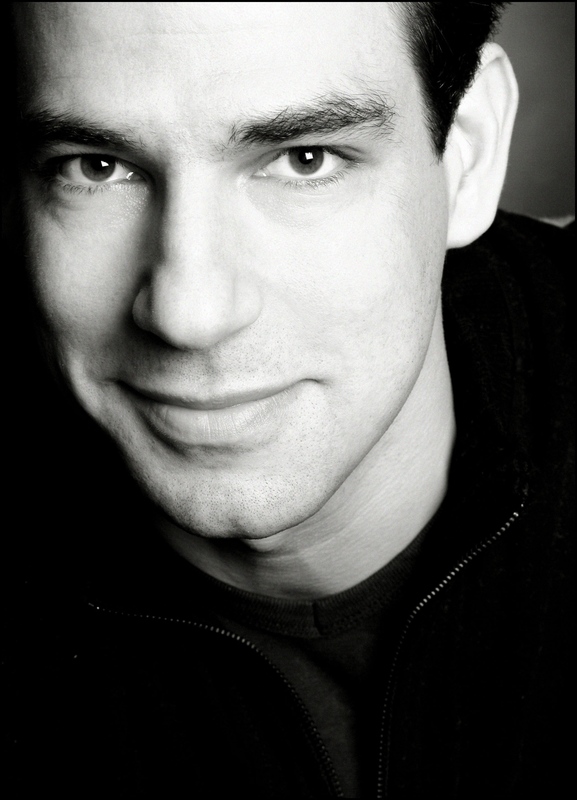 The studio’s artistic director James Albrecht is very much a man of the theatre, having trained as an actor in the States, where he also directed, and in 2008 he worked with David Gilmore as his assistant on the revival of the original National Theatre/ATG production of ‘Noises Off’ (he had played Garry Lejeune in the West End production in 2003). 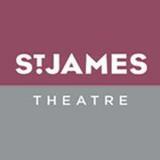 When Gilmore was appointed Artistic Director of the St James Theatre, he suggested James as his assistant there also. he opportunity to work in a brand new theatre complex in central London, largely starved of quality small and medium sized venues, is rare indeed! The layout of the studio space, it’s location in Victoria with its own community, and his personal interest in different genres has led him to try a variety of styles, each with a specific night to aid consistency. There are cabaret weekends, comedy and jazz nights, and even platforms with political figures. There is also a season of new playwriting coming up. 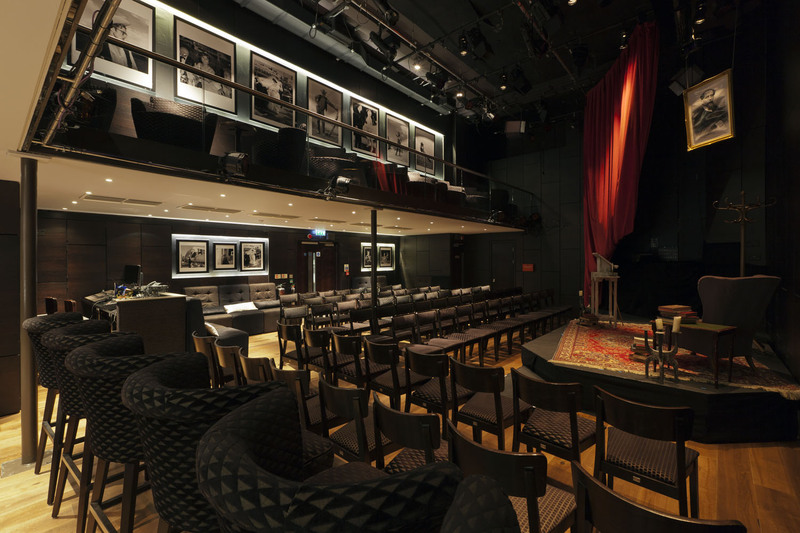 And this is the essential difference between the St James’ Theatre Studio and venues such as The Crazy Coqs, The Pheasantry and The Matcham Room in The Hippodrome. This space is first and foremost a theatre, not a supper club. Bar snacks are served in the bar, so the full cabaret experience can be met, but the material James ideally wants to see there will have elements of theatre and theatre writing, rather than almost entirely songs, as in the type of American Songbook cabaret prevalent in American style supper clubs. Also, although there are other bars and restaurants in the building, the Studio is not part of a pizza chain like The Pheasantry, nor part of a restaurant/bar complex like The Crazy Coqs. Neither is it subsidized – it must make its own money. James, then, has taken a certain amount of risk in his varied choice of programme, but it is measured risk. As the tastes of the different types of audience the space is already attracting become clear, different genres will become more prevalent and others less so. There is also the possibility of longer runs and more in-house productions. In true theatrical style, the programming is developing in a collaborative way with the programmers and artists themselves, fostering specific interests and possible repeat business on certain evenings, and crucially for live theatre, a cross-fertilization for both different audiences and artists alike. People who might never otherwise come to live theatre, but will happily attend comedy or live jazz, are being introduced to the other delights this whole complex has to offer. The prospect is immensely exciting. Watch this space! 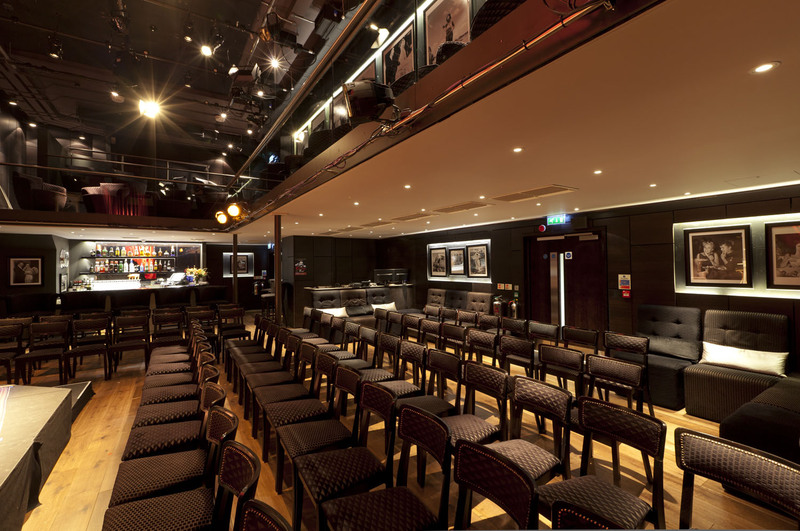 This entry was posted in Features - Theatre and Cabaret News and tagged cabaret, cabaret in the capital, fiona jane weston, James Albrecht, London cabaret, London Cabaret venues, London theatre, St james Theatre, The Crazy coqs, The Pheasantry. Bookmark the permalink.